Even if you have a lower income, there are a variety of loan options to make home buying affordable for you. Learn about the options and how to qualify. You don't have to be "rich" to buy a home. You don't even need to put down 10% of the asking price. All you need to know is where to find low income home loans. We're going through the many options available for those people lenders would consider to have "low income." While we don't know if you view yourself as someone with low income or not, what matters is if you are a borrower who does not qualify for conventional financing, you could find other loan programs that will get you the home you want. You may have been turned down because of your income, but more likely it was because of a high debt ratio or low credit score. For more information on low down payment loans, read how to take advantage of low down payment loans. Here's the good news: Low-income loans offer more flexibility. But finding one requires a lot of legwork. It takes research to find available programs in your area. Keep in mind that you may still have to work on your credit worthiness or save a little money to qualify. 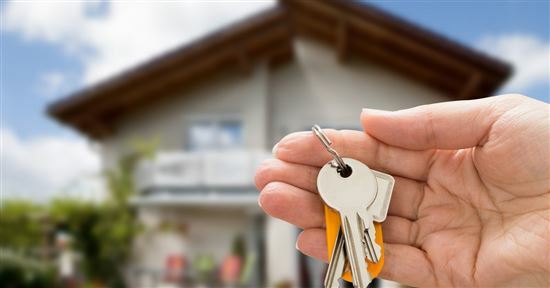 Starting early is the key to successful homeownership, no matter what your income level is. 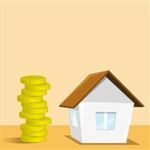 Borrower-paid mortgage insurance: This helps the government afford to guarantee the loans private lenders make in their name. Payment subsidies: This government money helps borrowers make their mortgage payment. Down payment assistance: This government money helps borrowers meet down payment requirements. You may qualify for one or more of these types of assistance to help you qualify for financing. These loans are "sponsored" by the government. The government does not actually fund them. Private lenders still provide the funds. However, with borrower-paid mortgage insurance, the government can guarantee a portion of the loan. This means the lender would still receive payment if you defaulted on the loan. For example, the U.S. Department of Agriculture offers a 90% guarantee to approved USDA home lenders. There are several low-income home loan options with the government guarantee. Seller-paid closing costs: The seller can credit you 100% of the amount of your closing costs at the closing. The closing agent deducts the costs from the seller's proceeds. They then disburse the money to the appropriate party. Most other loan programs require borrowers to pay at least a portion of their own closing costs. Gift funds allowed: 100% of your down payment money can be gift money. It may come from a relative, close friend, employer, or charity. You do not have to verify any of your own funds. Tip: To read more about the FHA requirements, read about the different types of mortgages. The FHA 203K loans have many similarities to the standard FHA loan. The main difference is the amount of money they provide. You not only purchase a home with this loan, but you borrow money to fix the home too. It's great for low-income borrowers who can afford a fixer upper, but cannot afford the renovations it needs. The unique part of this loan is you can secure financing for a home that doesn't meet standard requirements. Normally, this is a deal breaker. No lender will offer funds for a home that does not pass city, state, and loan specific codes. FHA 203K financing offers this chance and with the same low rates as regular FHA loans. The FHA provides funding for the price of the home plus the cost of renovations. Once you know the type of work the home needs, a contractor will complete a work write-up. An appraiser can then determine the repaired value of the home. The FHA uses this amount to determine how much you may borrow. The maximum is 110% of this value. Of course, you must be able to prove you can afford the loan with the right debt ratio and credit. If you live or don't mind living in a rural area, the USDA loan has many benefits. First, let's define rural according to the USDA. It is not areas way out in the "sticks" with nothing around you but fields. Instead, it is an area with fewer than 20,000 people and outside of the city limits. The USDA determines which areas are rural based on the latest census tract. Oftentimes, the areas are right outside the city limits. There are two types of USDA loans - guaranteed and direct. Guaranteed loans are for low- and moderate-income families. Direct loans are for low- and very-low-income families. The USDA differentiates between the two based on the average income for the area. Gross household income between 80% and 115% of the average for the area needs the guaranteed loan program. Gross household income between 50% and 80% of the average for the area needs the direct loan category. Guaranteed USDA programs work much the same as FHA loans. They carry a government guarantee allowing private lenders to fund the loans without worry. The difference is the property location requirements and the maximum income allowed for the household. If you make too much, you may not qualify for this program and would be better off with the FHA loan. Tip: Read about the different types of mortgages to learn about USDA requirements. We will discuss the USDA Direct loans below in the Direct Government Lending section. If you spent time in the military, you may be eligible for a VA loan. With this loan program from the U.S. Department of Veterans Affairs, you don't need a down payment and the seller can pay your closing costs. You only need to prove you can afford the monthly payments, and even those debt ratios are flexible. Unlike the FHA or USDA loans, VA loans do not require annual mortgage insurance. You pay a funding fee at the time of closing and that's it. This leaves you with more money on a monthly basis to afford a higher housing payment. For some, this makes the difference between owning a home and not owning one. Mortgage insurance can take up a significant portion of a person's monthly income. Of course, you must have adequate credentials to qualify for the VA loan. If you served in the military during wartime, you must have 90 days of consecutive service. If you served during peacetime, you need at least 181 days of consecutive service. In both cases, you must have an honorable discharge. Tip: Read about the different mortgage types to learn how to qualify for a VA loan. The HomeReady Program from Fannie Mae is an effort to make home buying more accessible for first time home buyers and also repeat buyers who meet certain criteria. The program offers a 3% down payment option, lower costs for private mortgage insurance (PMI) and allows income from non-borrower household members and boarders to help qualify. You need a credit score of at least 620, but scores of 680+ will get you better rates. Some lenders may have their own additional specifications, which may eliminate some borrowers with lower credit scores. It's important to check requirements with lenders. Fannie Mae backs the HUD HomePath mortgage program. 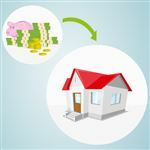 A down payment of 3% is required, and 3% cash back for closing costs is given at closing if borrowers have completed a homebuyer course given on the HomePath website and requested the reimbursement. The cost of the course is $75 which is part of the closing costs that are included in the cash back. Buyers must be first time homebuyers, or not have owned a property for three years, and have a minimum credit score of 640 or higher. The property must be listed on the Homepath website and the buyer must submit the offer with a real estate agent. Buyers must supply proof of income and stable employment of at least two years. The Good Neighbor Next Door program is offered by the US Department of Housing and Urban Development (HUD) to teachers, law enforcement professionals, and emergency personnel. Qualified applicants can purchase a home offered by HUD at a 50% discount. Eligible borrowers can find a home on the HUD GNND website and submit an offer. If more than one offer is submitted for a property, HUD will determine which offer is accepted through a random lottery. HUD holds a second "silent" mortgage on the home for 50% of the listed price. If you remain in the home for three years that debt is erased. You must prove that you are an approved public worker, and you may obtain various types of financing. If you finance through FHA, your down payment can be as low as $100. Only a 3% down payment is required for this conventional loan, offered by both Fannie Mae and Freddie Mac. It was briefly discontinued in 2013 and reinstated in 2014 by the Federal Home Financing Agency. This loan is an alternative to FHA loans, with lower down payment requirement and fees and a monthly PMI that can be canceled. Once the loan balance reaches 78% of the value of the property, the PMI automatically drops off. Credit requirements for the 97% LTV loan are a minimum 620 score. As the score rises, rates may decrease. According to the Fannie Mae Loan Level Price Adjustment (LLPA) chart some borrowers may receive the same rate for a 3% down payment as for a 20% down payment. A 3% down payment requires PMI, so a low-income borrower who is paying that increased monthly payment will still possibly receive a rate that keeps their monthly payment affordable. Gift money can be used for the down payment, as long as the gifter is related to the borrower. The mortgage must be a fixed rate mortgage, and the property must be a single unit home. Borrowers who fall under the low- or very-low-income category may qualify for the USDA Direct Loan. This is not a government-sponsored loan. The government directly funds it. Borrowers qualifying for this loan must meet strict stipulations. Your income may not exceed 80% of the average income for the area. You also must not currently own adequate housing. 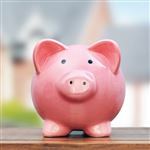 Longer terms than the standard 30 years: You may secure a term up to 38 years if it brings the payment down enough. Payment subsidies: Some borrowers may qualify for a payment subsidy. The USDA provides money to put towards your mortgage payment. You will be required to live in the home for a specific amount of time to satisfy the terms of the subsidy, though. To be eligible for this program, you must prove you cannot secure any other financing. This includes USDA and FHA financing. Grant programs are often available at the state and local level. The Department of Housing Development provides a great list of resources. This is a great place to start, but don't stop there. Search for low-income loans in your state and local township in the major search engines. There are often many untapped resources for low-income borrowers that no one knows about. The type of aid offered varies by agency and location. Some offer grants without the need for repayment while others offer subsidies or financial aid. Finding and applying for grant or financial aid programs can take time. If you think you may qualify, start the process early. This way you know what you have to work with and can find the right type of financing too. Homeownership is not as out of reach as you might think. Start out by talking with several lenders and researching your options. Consider grants, homebuyer classes provided by HUD, and government loan options. Becoming a homeowner is possible with the right help. Share on Facebook "Low-Income Home Loans: How You Can Buy a House"